Dr. Terence Young is the CEO of Young Phoenix Enterprises LLC, an elite level physician, entrepreneur and 3-time best-selling author. Dr. Young has led others to achieve the goals they desire as a coach with companies such as Klemmer and Associates and Human Communication Institute. 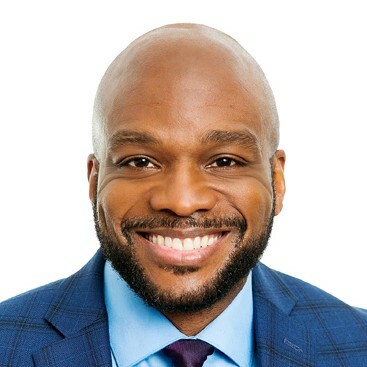 He is also recognized for his leadership within his own group of over 120 practitioners as Physician of the Year and has seen in multiple media, including the Huffington Post. Born and raised in Brooklyn New York, Dr. Young overcame the odds to achieve success as a physician. Growing up shy hindered his ability to reach out for support. Having his own guidance counselor blow off his desire to be a doctor strengthened his resolve. Because of these and many other challenges growing up in his neighborhood, he realized the importance of surrounding himself with likeminded people who had a vision for success. Determined to achieve his vision and not let anything hold him back, Dr. Young leads by example to show that success is possible despite any fears or challenges in life. As an Obstetrician and Gynecologist for over 23 years, drawing from his optimal communication skills, he has helped tens of thousands of patients to overcome their fears and challenges both medically and in life. Utilizing his ability to think rapidly and take action, he has helped clients to achieve their desired goals and outcomes, minimizing time and maximizing results. He coaches and supports clients, personally and professionally, to achieve the results that they desire in life and business. To Contact Terence S Young, M.D. If Terence S Young, M.D. does not respond to your message in a timely manner, please let us know. Our staff will follow up on your behalf to expedite your speaker search. This is a complementary service we offer. If there is anything else we can do for you regarding your speaker search, please contact us.